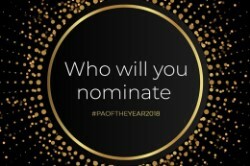 SecsintheCity have just launched their 7th annual PA of the Year Awards, championing the business-critical contribution that PAs and EAs make to the organisations they work for. If you’re a talented PA or EA, or work with someone who you think should be recognised, submit your nomination today. Winning Legal PA of the Year is recognition of your hard work and a career highlight not to be missed. There are fantastic prizes to be won, and the winners will be announced at an awards ceremony at The Ivy, London, on Thursday 8th November. Lyn Lennox, PA to a Director at The Law Society and winner of the Outstanding Achievement Award in 2017, said that winning the award was not only a massive confidence boost but that it is her “ultimate career accolade”. If you would like to nominate yourself, or a colleague, please complete the online application form. Don’t miss this opportunity to transform your career.